Do you want exclusive T-shirt of your choice? janezjansa 09:35 26.04.2012	This entry was posted in Crowdfunding. Bookmark the permalink. 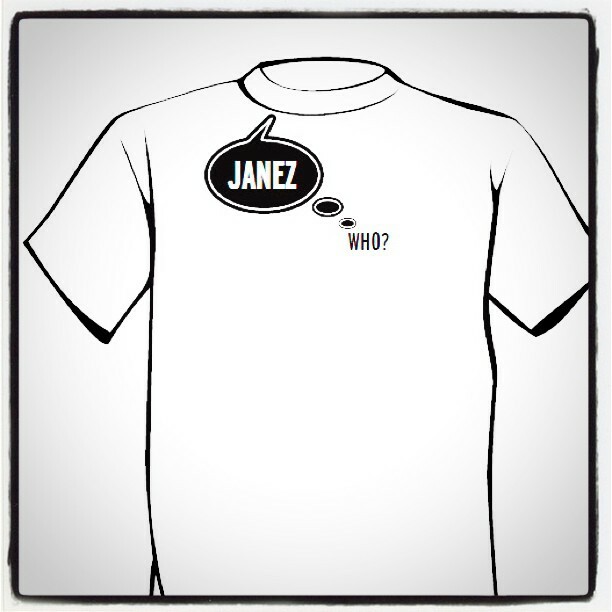 If you contribute 40€ to our crowdfunding action, you will get one of 4 exclusive T-shirts of your choice, a copy of the limited edition DVD of »My name is Janez Janša« autographed by the 3 artists Janez Janšas your name in the credits on the film. Help us to choose the right statement for the T-shirt! - HOW DO YOU SMELL YOUR NAME? I actually knew about nearly all of this, but with that said, I still thought it had been valuable. Great job! Beneficial material! I have already been seeking something similar to this for a little bit now. Thx!